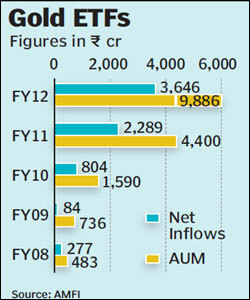 Net profit growth of mid-cap companies was higher than that of large- and small-cap companies in 2010-11. According to a study by FE Research Bureau, mid-cap companies with a market capitalisation between R3,000 crore and R10,000 crore have outperformed those with a market capitalisation of over R10,000 crore (largecaps) and between R70-3,000 crore (small-caps) in terms of net profit growth in FY11 as compared with that of the previous year. A sample of 119 mid-cap companies (excluding banks and NBFCs), for which the 2010-11 results are available with FE Research Bureau, posted a 49.7% rise in operating profits over the corresponding period of the previous year. This was managed on a relatively lower sales growth of 20.4%. During the period, the operating profit margin (OPM) for this clutch of companies increased by about 464 basis points to 23.75%. To some extent, the reason for the better margins was a significant increase in other income during the year 2010-11. For the sample of 1092 smallcap companies, the operating profit rose 11.5% increase in the year 2010-11 as compared with the corresponding period of the previous year. That was with the top line rise of 19.5%. However, the operating profit margin (OPM) for this sample stood at 4.58%, a decrease of 66 basis points as compared to the previous year. Large-cap companies too saw a significant growth in sales of nearly 22% while their operating profit went up by 12.9%. The OPM for 87 large-cap companies stood at 10.1%, a decrease of nearly 101 basis points. However, during the financial year 2010-11, in terms of returns, largecap indices outdid midcaps as well as small cap indices. In FY11, while the BSE Small Cap index and BSE Mid Cap gave a negative return of 6.1% and 0.1%, respectively, it was 9.9% for large-cap index as measured by Sensex. The market recovery of 2009 has seen a revival in all the indices, that is, large-cap, mid-cap and small-cap stocks. However, during 2010 and 2011, as the market remained in a range-bound zone, the action turned stock specific said Jagannadham Thunuguntla, strategist and head of research at SMC Global Securities. He said that it is not the category or the industry that is determining the returns as in the recent past. Typically mid cap and small stocks tend to lose more value when the stock markets crash as investors turn risk-averse. Following the global financial crisis, many of the mid cap and small counters got battered.